Step1 : Make sure that your Outlook will be closed. Step2 : Go to Start menu, open Control Panel. Step3 : Select View by: Large icons at top-right of the window. Step4 : Select Mail >> Show Profiles. & click Add. 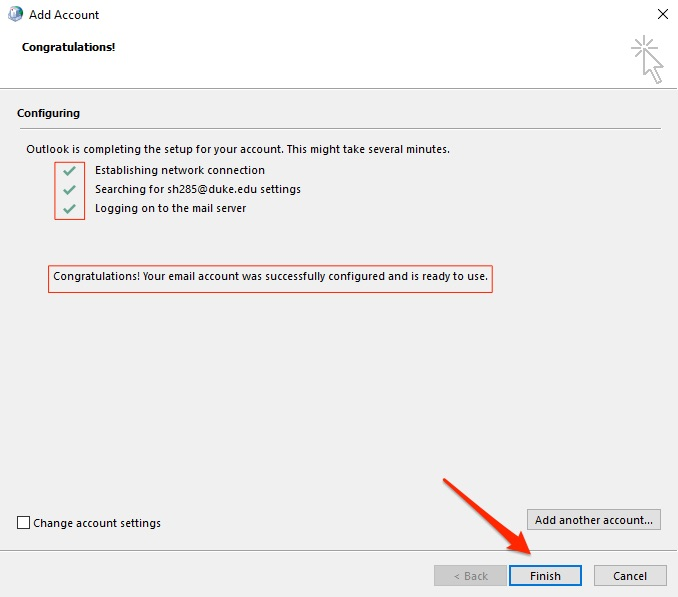 Step5 : Enter the Profile name & click OK.
Step6 : Enter your email in Email Address. 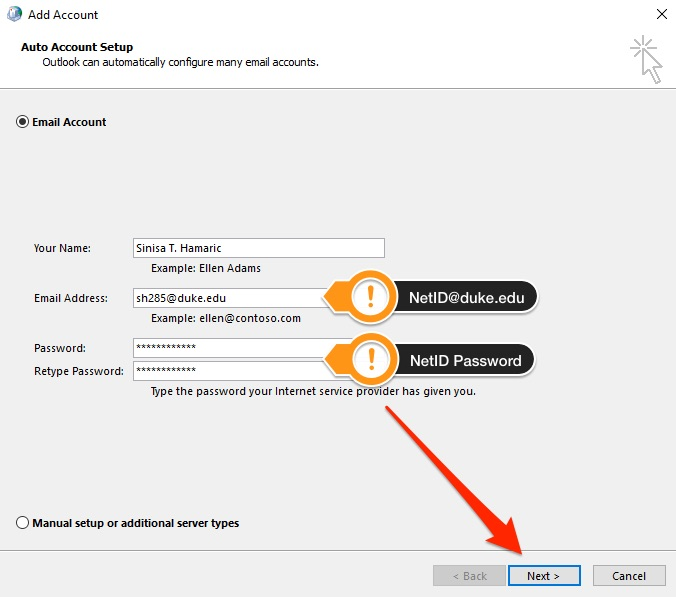 Step7 : If it prompted for password then type HawkID in password & re-enter it in Confirm password field. Step8 : Click Next & then click Finish. 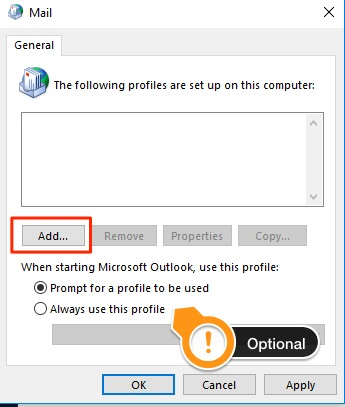 Step9 : Open Outlook now.